The sun was shining down as I pulled up to the Chick-fil-A drive thru line. We waited in line, because well, let’s be honest, the line at Chick-fil-A always seems to wrap around the building regardless of the hour. My boy, happily playing in the backseat, quickly looked over to the play area. As I caught a glimpse of him studying the tall, exciting playset through the window, my heart sank. I knew with certainty what was coming next. Almost immediately, he asked to get out and go play with the other kids. And like so many times before, I had to tell him “not this time,” despite knowing there would likely never be another time. At 5 years old and 45 lbs, squeezing his body and mine into those tiny plastic tubes is virtually impossible and physically exhausting, much less any fun. And so we watched from our car as cute little kids popped in and out of the playset with ease, laughing and just being, well kids. Sadly, this isn’t a rare occurrence for us (I won’t start on how many things are not handicap accessible) and that’s probably why I never heard a single protest from the backseat. He’s used to his longings to play being answered with a “no” and as his mama, that kills me. If I’m honest, it can be challenging not to seethe with envy in moments like these. It’s not that I wish the other kids couldn’t do certain things, but that my kid could do them too. And so my heart grieves. And if you’re a special need parent, your heart grieves much the same way. There’s a unique type of grief that exists within the special needs parenting community. It’s a grief that is marked by repeated, recurring loss. It’s elusive and hard to pinpoint. It can be coupled with trauma in the medically complex. It is often found in the desire to be normal while being profoundly aware of your less than normal circumstances. It catches you in the mundane, when you’re shuffling from therapies or doctors appointments. The grief of a special needs parent is paradoxical by nature because it marries the despair of lost dreams, the hardships of daily life and the emotional pain of watching your child endure to the joy you have for your child’s life, the love that you have for them just the way they are and the happiness that you were chosen to be their parent. Some days you’ll seem to have discovered all there is to mourn. You’ll stand bold and confident, knowing you’re a stronger person because you’ve made through the losses and discovered the beauty beyond the pain. Other times, you’ll stumble upon a lost dream or maybe a whole collection of lost dreams, and be completely overwhelmed with sadness and despair. This type of grief requires a lot of time to process, but spare time is a luxury not afforded to special needs parents. However, just as the many who’ve gone before us, we travel the dark tunnel despite not knowing what lies ahead. We advocate and fight for whatever our child needs despite our weariness. We connect with other families and draw from their experiences despite knowing that no two children are the same. And in spite of all our griefs, we somehow find our will to survive this beautifully complicated and bittersweet life that is special needs parenting. Thank you to sharing this. I look at the same parks and dream of compensatory devices and imagine work arounds. But real life and getting through each day make those out of reach, too often. And the grief can be overwhelming – especially for the parents who are on the front lines 24/7. I think that sounds like a great service project! I know my daughter would want to help others. She’s in HS now, but always tended to those who needed extra help in elementary school. Do the schools have to provide? has anyone ever asked a Chick-fil-a if they would make something, maybe when they are building a new store. They always want to help the community. Thank you for sharing. Although my sons disabilities are invisible, I find that I have the same recurring feelings of loss, jealousy, frustration and disappointment. I feel guilty for not being strong on the inside 100% of the time. Those of us with special kids are very much aware that we live our lives parallel to those whose children are typical, but at times its difficult to accept. That said, I love my son with all that I am. My daughter also appears “normal,” unless you spend enough time with her. Her ADHD and ODD make like difficult at times. I love her and want nothing but the best for her. It breaks my heart when other kids won’t accept her or tell her she is annoying. I cannot force them to be her friend, and it breaks my heart when a few of them bully her. It’s ridiculous. I do all I can to give her an even playing field, and yet wonder if it’ll ever be enough. My son has these same exact disorders (although he hasn’t been formall dx with ODD, but it is there,trust me. The defiance is excessive)… I have those same feelings. No one understands, not even church family. He is never included in things. I know he is hyper and it can be quite overwhelming for others, but we so desperately desire to fit in and be loved too. Prayers for you little one and you as well! So eloquently put together…thank you. Wow. I’ve thought this often. Thank you for writing my thoughts. I don’t want you to take this as a criticism, because it’s not. As a parent of a child who had a disability I learned to find ways for him to do things that other kids were doing. Sometimes it took some creative outside the box thinking, but I got so tired of saying no. It sometimes took involving others, or inventing a way for him to be involved maybe not to the extent he wanted to be involved , but still socially involved. Believe me sometimes other children will think of ways you don’t. I had to work so very hard to find the way for him to be involved, and I’m so glad I did because now that he’s gone I have no regrets and lots of happy, fun, funny memories. Sometimes we just need to vent and face things head on …..then use your advice…..so let us just have this moment…we’ve earned it…. Stephanie, we have them here, they’re called “Unlimited Play” playgrounds. Here’s an example: https://www.unlimitedplay.org/zacharys-playground/ We’ve had Spina Bifida meet ups there for the kids and they play assisted and unassisted. It’s designed for children of all abilities. Maybe you can contact them to find out if there’s one in your area. I was part of a parent group of four sets of parents that raised money, call on local businesses and worked with the Recreational Director of our city to build a barrier-free playground for the purpose of our kids with disabilities to join in the fun. It is not impossible to do and to see them having so much fun and enjoying themselves was well worth the effort. You would be amazed at how many children without disabilities want to join in also. Perhaps starting some group effort will help get something going. What you wrote is so true. We also had a severely handicapped child. At 10 1/2 she passed away never reaching a mental age past 1 1/2 year. She was in a wheel chair and tube fed. Those years were intense with all the doctors visits, the therapists, etc. Often I felt like I was in a field with a few others, looking over into the other field of busyness and normality. 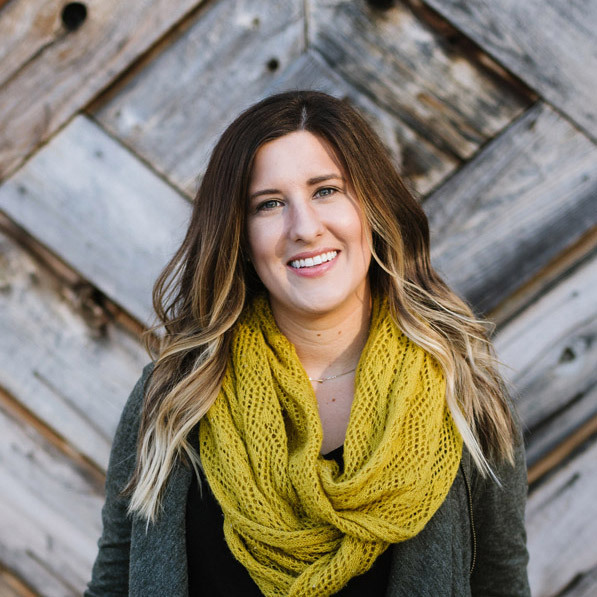 Our daughter was the youngest of 7 children and she brought a lot of joy to our family but in quiet moments I would cry with sadness, desperation, and exhaustion. But God gave me the strength to love her and care for her. 24 years later (she passed away in 1992) she still has her place in my heart and in our family. Great post! It’s so hard as a special needs parent to share my “sad part” because I try so hard to always be positive. I also hate feeling pitied, but there’s pain there too! Letting go of dreams and expectations is such a personal struggle and hard to explain. You did it beautifully. High five sister. But you need to share that joy and create memories even if it is difficult for you, its a moment that makes him laugh that will leave a long lasting impressive memories. You need that for YOU. otherwise you will have regrets …”why didn’t I do that with him…” or “I should had listen and had those special moments” No matter how difficult it will be for you, he won’t know that. But one day you will look back and have many smiles and laughs. But if you keep denying him those moments that what seems difficult for you, then you will have regrets later. I didn’t want this post to end! So eloquent and descriptive of how I feel. You hage such talent in painting the picture of the life we lead as special needs parents. It’s so strange to live through these daily feelings of both intense joy and grief. Thank you for this, Lindsay! Just beautiful! Thank you… Now I don’t feel so alone. I think the fact that accessible playgrounds exist is not really the point. Today’s playground is tomorrow’s something else. Something that can’t be crowd funded into ADA compliance. 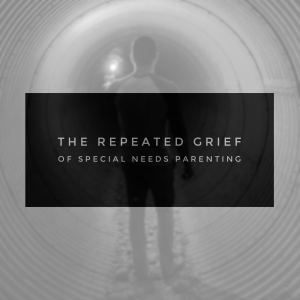 Grief shows his face in lots of different ways as the special needs child ages. Exactly, Susan. Thank you for the reply. Although my children are physically able to do these things, their mental health struggles prevent them from being able to do most things kids their age do. It is heart breaking watching them long to be able to do what others are doing. Thanks for this. It is good to know we don’t travel this world alone. I have often wanted to scream at them, stop, be thankful that your child is “normal”, instead of begrudging my son a moment in the spotlight awarded because he was there when others were too busy with their normal lives…..my son is an aspie, his disabilities are not always seen….. This made my heart hurt and swell at the same time. I am so thankful I’ve found your blog and am even more thankful that I am not alone in my grief and my sometimes guilt about my grief. Thank you. Straight to my heart! A familiar cycle of grieving which is constantly pushed out of sight in order to cope. If it were more obvious to others, although it is intensely private, would there be more support and kindness, more true inclusion? Thanks for expressing that corner of my soul. Went through this so many times when my daughter was young with her epilepsy. Sadly I still do. Her disabilities have gotten worse since she became an adult. It’s sad for both of us to know the things that she can’t do with her little girl. I don’t want to remind her of things she can’t do, but when we’re together I find myself watching for things I can modify. Then I think of my friend’s daughter confinecd to a wheelchair with partial paralysis. I know it could be worse. That doesn’t always make the frustration better though. There’s also constant guilt. Why didn’t I spend more time with him on _____? Bid only I had known about _____ years ago . Why didn’t I recognize ____ about him when he was young? I’m not a strong enough disciplinarian. I’m too demanding and don’t recognize his limitations. I’m enabling his disabilities too much. I punished him for yet another aspect of his disabilities I didn’t even know existed. He’s conning me. An eloquent article saying aloud something so much of us think and carry inside. We have been fortunate as the parents of an autistic child in that the “it takes a village” mentality prevailed in our locality and one of the larger shopping centers installed a sensory friendly playground suitable for all children including those on the spectrum. It has helped in the alleviation of at least one of the things we mourn. Thank you for this post. It sums up a lot of the things I have been feeling and thinking deep down, but didn’t have time to process them. This was so beautifully written. Sad as it is, it blessed me. Blessings to you and your family. We have some parks in our area with swings for children and adults that look more like an oversized car seat with straps for disabled to use. Of course all the kids want to play on them, disabled or not. It’s a start. I don’t have a special needs child, however; I have always admire parents that do have one. You’re love and dedication towards your child is envious. The patients that you shows is admirable. I can’t even imagine what you guys must go through day in and day out. Know that your child is also blessed to have you in their life. You, a parent that shows love even when they might not show it to you. A parent that demonstrate patients when theirs have run out. A parent that controls emotions when theirs is all over the place. A parent that keeps going and shows dedication even if you want to give up. I thank you for being who you are. I encourage my two daughters to help and play with everyone even when other kids look different than they do. We must show love to those around us. Keep up your hard work as a mom. Thank you for showing me that I can continue being a great mom to my girls and that I don’t have it hard. I will continue to pray for you.